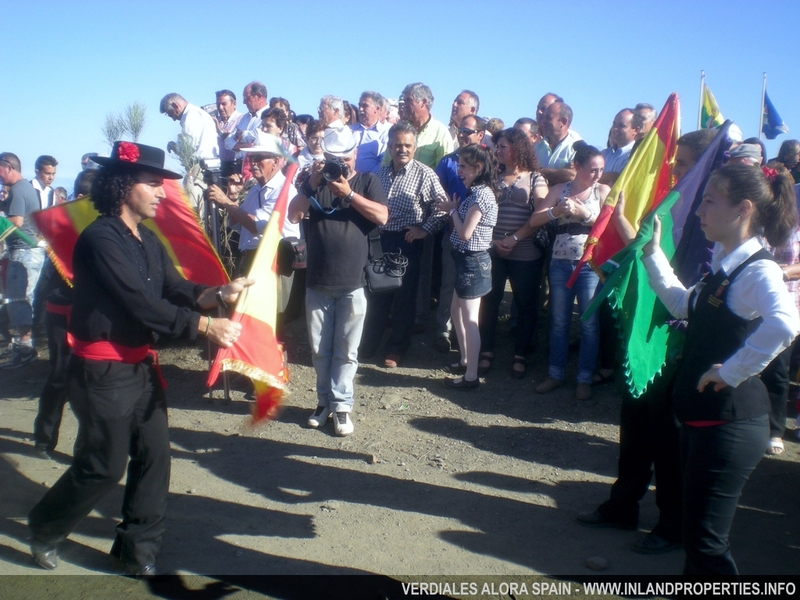 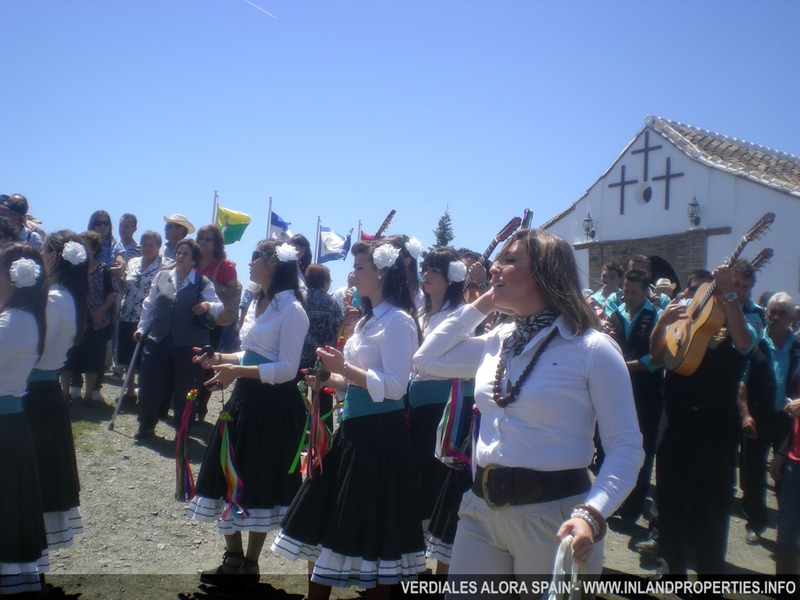 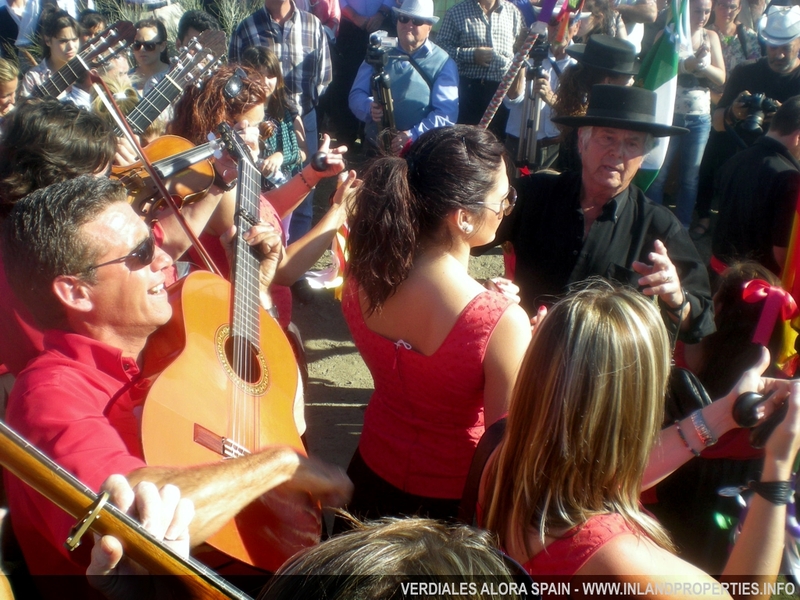 The Verdiales Spring festival takes place today Sunday May 3, 2015 from 9:30 am with the “rise of the flags” at the known as Ermita de las Tres Cruces, located in the limits of Almogía, Alora, Cártama and Pizarra. 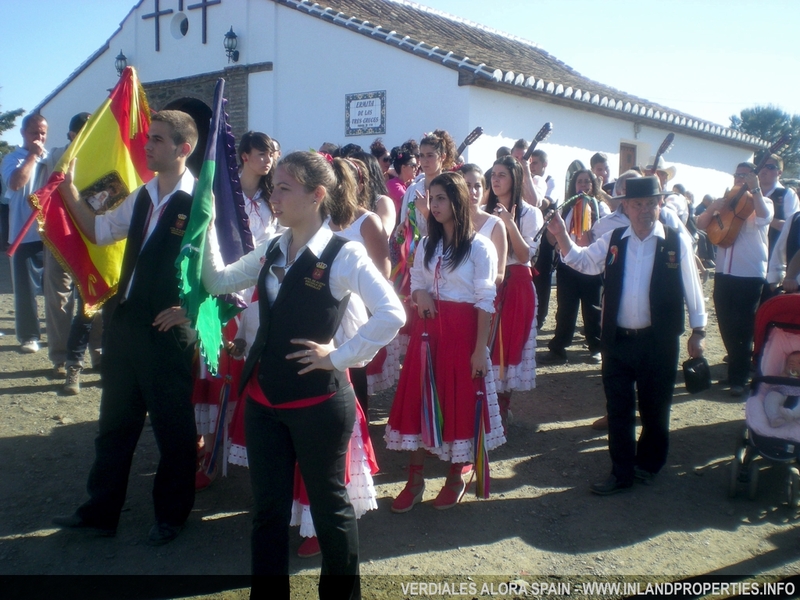 The verdiales groups from cited four villages spend the day between songs and dances, dancing the “Churripampa” performing the traditional clash between pandas and conduct the popular raffle. 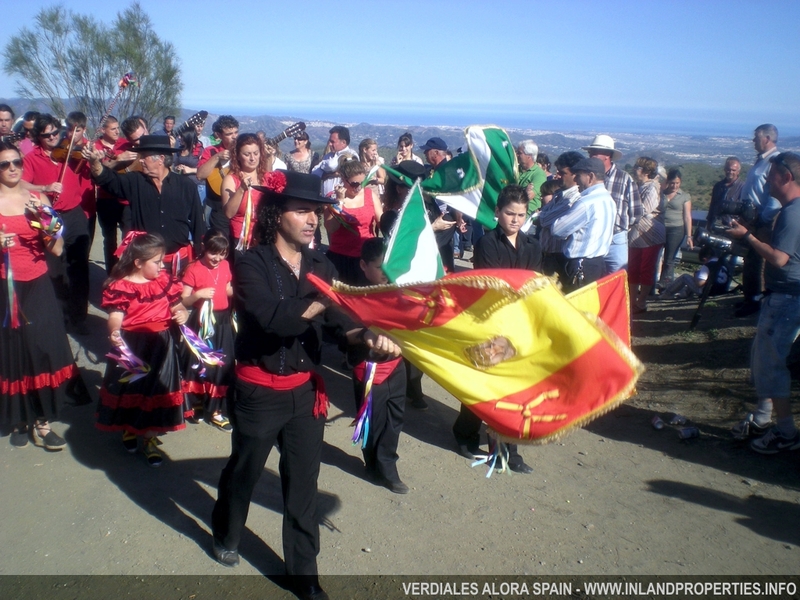 The first references of this festival date back to 1722, that’s why it has been declared of National Tourist Interest in Andalusia and National Tourist Singularity of Andalusia. 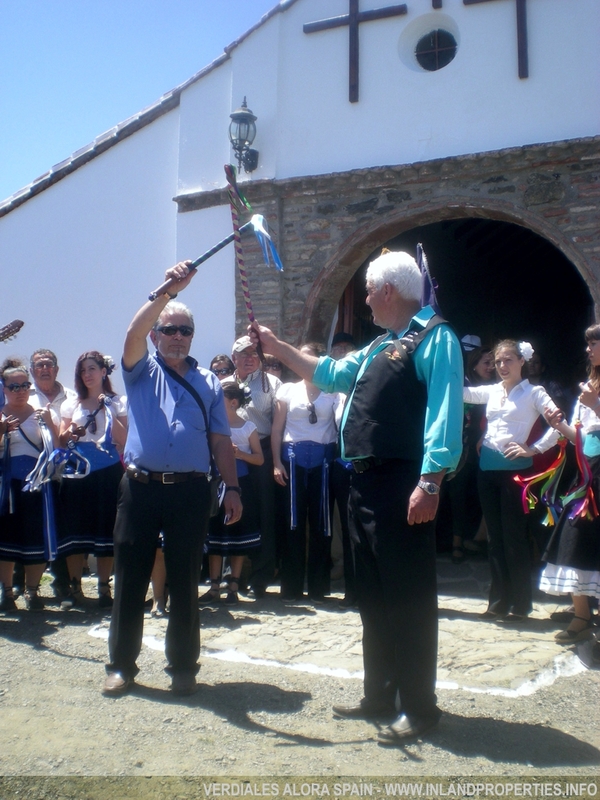 From 11.00h to 20.00h there will be 10 verdiales of three different styles, together with the traditional greeting at the door of the chapel after walking around it. 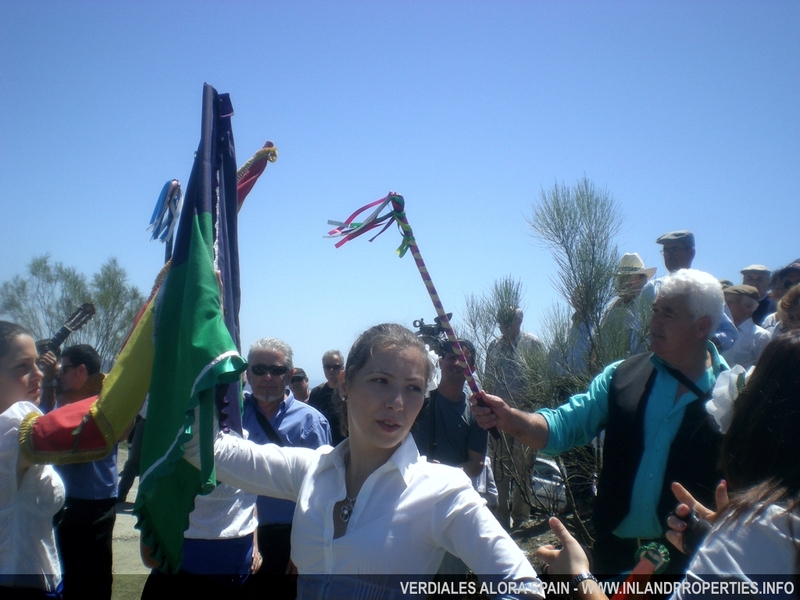 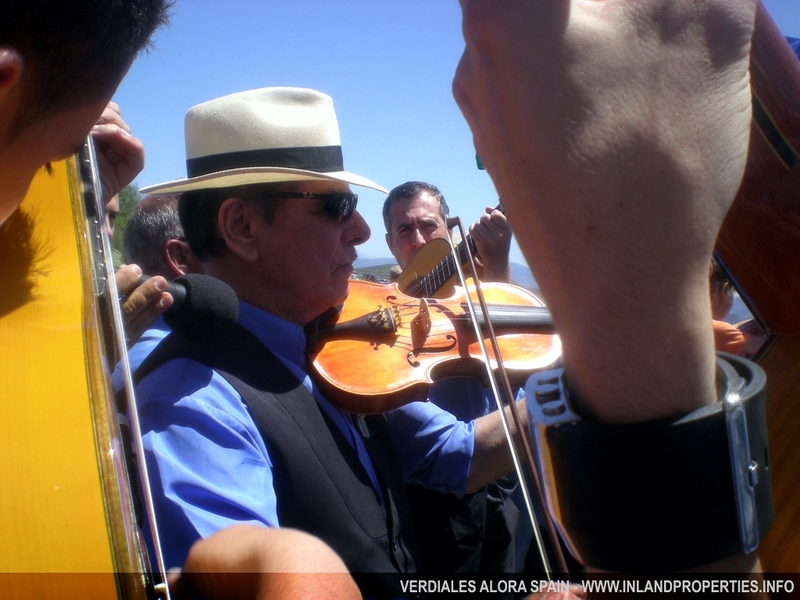 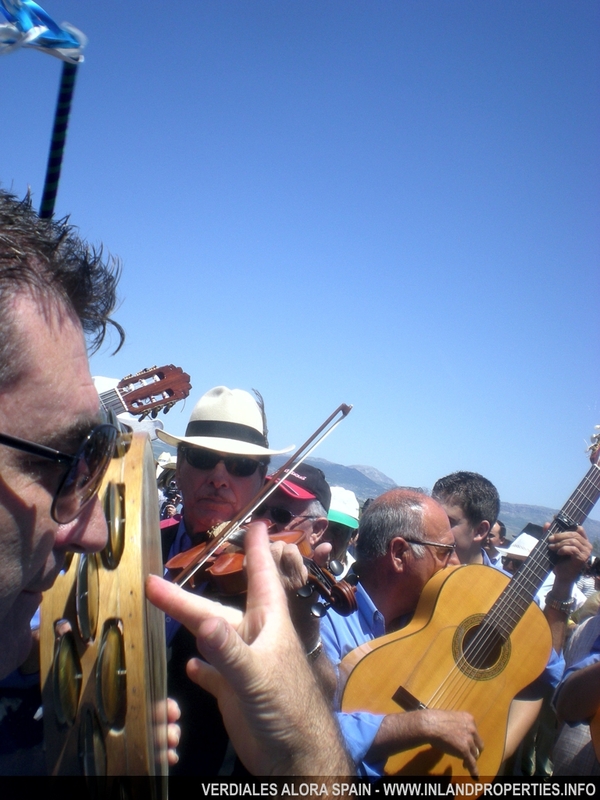 Verdiales (or Verdiales dance) are a festive manifestation of ancient and peasant origin, socio-musical nature peculiar to certain geographical areas in the province of Málaga (Axarquía, Valle del Guadalhorce and Montes de Málaga). 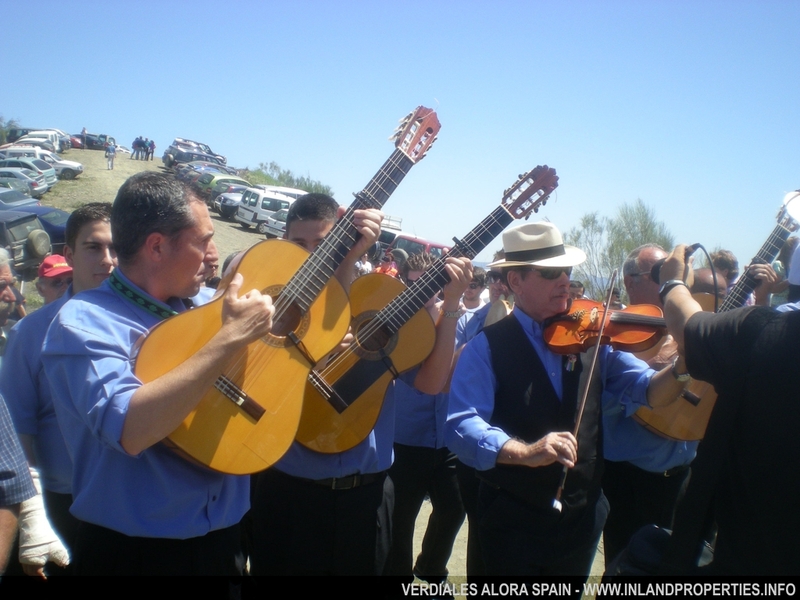 Verdiales Festival is one of the cultural expressions related with storngest attachment to the region of Montes, which have been forged and developed without any regulations, done by ancient roads, tracks, isolated cortijos or travelling, by sales or wineries, showing the people the the roughness of these lands, with some specific forms of representation linked to such places. 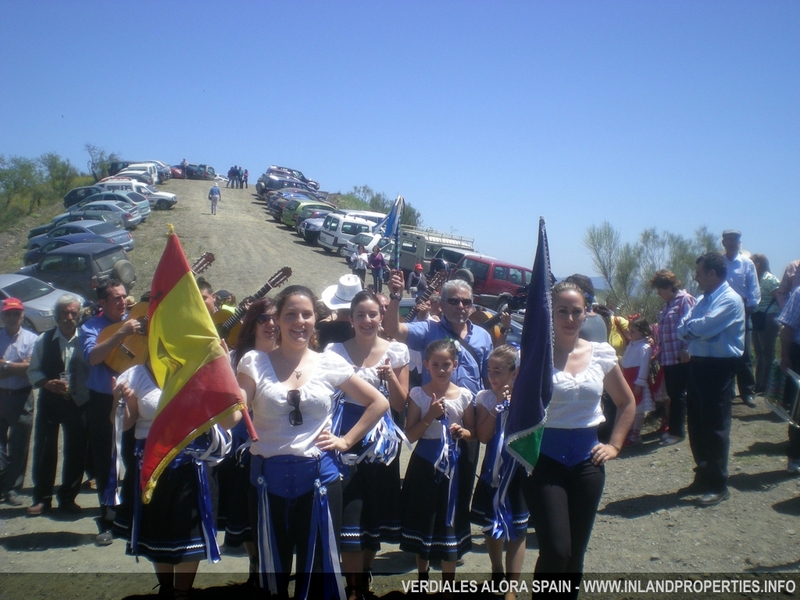 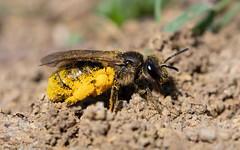 The root of the Verdiales is a controversial issue, and at times identified as pre flamenco or before the Christian and Arab invasion, but even before the romans and Phoenicians. That is over 2500 years old. 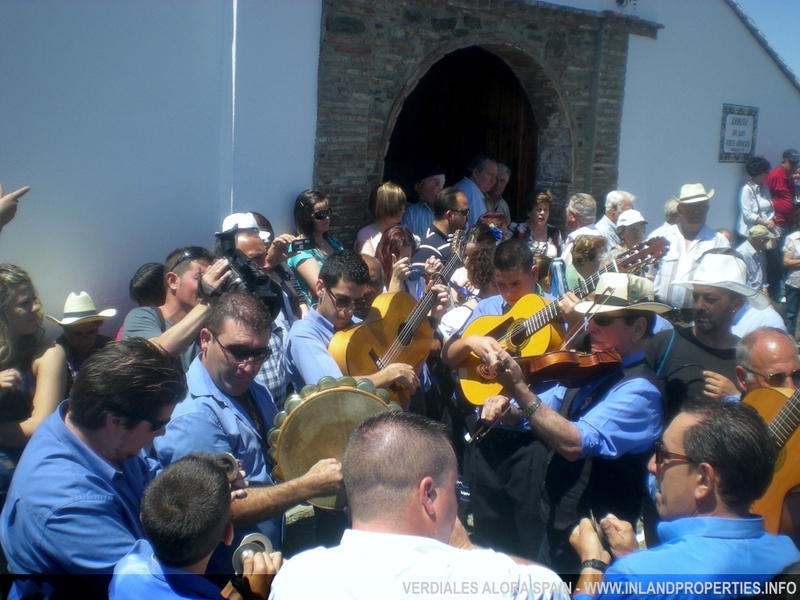 Chapels, with their adjoining squares, are significant frameworks, places with high relevance for the Malaga community of verdiales and evocative of eco-cultural identity. 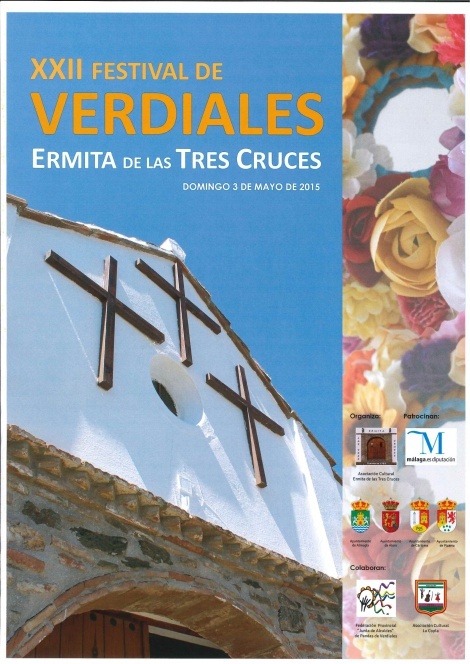 These hermitages are Verdiales, Three Crosses, of Jeva, and Loma la Boticaria.